To activate economic of trade in Business to Business Marketing (B2B) and Business to Customer Marketing (B2C) . To increase chance for Selling Business and direct access to the target group by Concept Evolution of Print. Advertise products to repeat your Brand to be known. Services-related business such as in the fields of billboards, printing business, photocopy center, printing equipments. 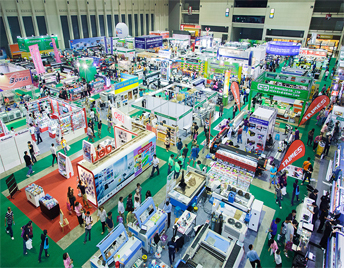 The exhibition convered total floor space of 10,000 sgm.